The Mechanics’ Lien law provides special protection to contractors, subcontractors, laborers and suppliers who furnish labor or materials to repair, remodel or build your home. If any of these people are not paid for the services or materials they have provided, your home may be subject to a mechanics’ lien and eventual sale in a legal proceeding to enforce the lien. This result can occur even when the homeowner has made full payment for the work of improvement. The mechanics’ lien is a right that a state gives to workers and suppliers to record a lien and ensure payment. This lien may be recorded where the property owner has paid the contractor in full and the contractor then fails to pay the subcontractors, suppliers, or laborers. Thus, in the worst case, a homeowner may actually end up paying twice for the same work. The theory is that the value of the property upon which the labor or materials have been bestowed has been increased by virtue of these efforts and the homeowner who has reaped this benefit is required in return to act as the ultimate guarantor of full payment to the persons responsible for this increase in value. In practice, a homeowner faced with a valid mechanics’ lien may be compelled to pay the lien claimant and then pursue conventional legal remedies against the contractor or subcontractor who initially failed to pay the lien claimant but who himself was paid by the homeowner. Another justification for this result relates to the relative financial strengths of the parties to a work of improvement. The law views the property owner as being in a better situation to absorb the financial setback occasioned by having to pay the amount of a valid mechanics’ lien, as opposed to a laborer or material man who is viewed as being less able to absorb the financial burdens occasioned by not being paid for services or materials provided in connection with a work of improvement. The best protection against these claims is for the homeowner to employ reputable firms with sufficient experience and capital and/or require completion and payment bonding of the construction work. The issuance of checks payable jointly to the contractor, material men and suppliers is another protective measure, as is the careful disbursement of funds in phases based upon the percentage of completion of the project at a given point in the construction process. The protection offered by mechanics’ lien releases can also be helpful. Even if a mechanics’ lien is recorded against your property you may be able to resolve the problem without further payment to the lien claimant. This possibility exists where the proper procedure for establishing the lien was not followed. While it is true that persons who have provided labor, services, or materials to a job site may record mechanics’ liens, each is required to strictly adhere to a well-established procedure in order to create a valid mechanics’ lien. 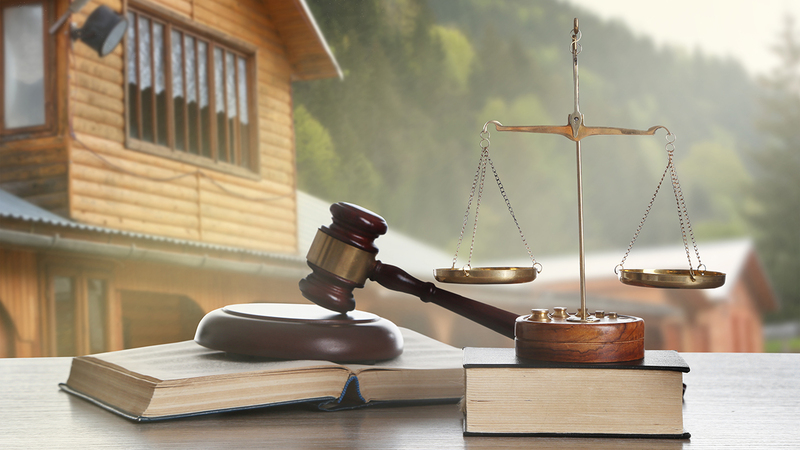 Needless to say, this is one area of the law that is very complex, thus it may be worthwhile to consult an attorney if you become aware that a mechanics’ lien has been recorded against your property. In the event you discover that a lien has been recorded but no effort has been made to enforce the lien, a title company may decide to ignore the lien. However, be prepared to be presented with a positive plan to eliminate the title problems created by this type of lien. This may be accomplished by means of a recorded mechanics’ lien release from the person who created the lien, or other measures acceptable to the title company. As in all areas of the real estate field, the best advice is to investigate the quality, integrity, and business reputation of the firm with whom you are dealing. Once you are satisfied you are dealing with a reputable company and before you begin your construction project, discuss your concerns about possible mechanics’ lien problems and work out, in advance, a method of ensuring that they will not occur.